While Saturday’s special sale is focused on Value plans and smartphone discounts there is another part of the day that might help you find your local T-Mobile store. T-Mobile is offering a Buy Two Get One Free accessory promotion for Saturday only. Check your local retail store for more details! i know this is off topic, but no one seems to be on the forums anymore =[…..but do anyone know if the new bb curve 9360 will be available for tmo’s prepaid lineup??? Wow, the MT3G pics you chose for this post REALLY make me realize how badly I need a new phone! Haha I loved that phone. Ha, ha, me too. I bought so many accesories for the mt3g. The clear plastic case, the gel skin, the customize back cover from Skinnet, the fm radio transmiter, the rock music dock. Ha,ha. Yeah man, I feel ya! Let’s get with the program so we’ll have to pay double what we’re payin now! You’re so smart. Please remember to check the final prices for those ‘value deals’ on phones. They are actually _small_ discounts, not large ones, once you work out the final price paid. This is utterly ridiculous! What a cheap move! Trying to sell your wares here. Your post will be gone soon enough spammer! Last month I purchased an accessory set on eBay for my MT4G for $8.95. 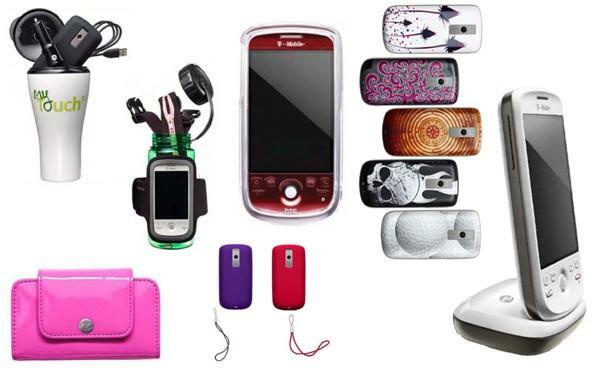 It included; a surprisingly quality mobile cover, clear screen protector with card applicator, screen wiping cloth, car charger with LED power indicator, a/c charger with LED power indicator, free shipping and no tax. Hey Meg? Are you and nanlan below in cahoots together trying to sell stuff on this site? If so…. naughty naughty! !